/KeiganCore App /What is KeiganCore ? 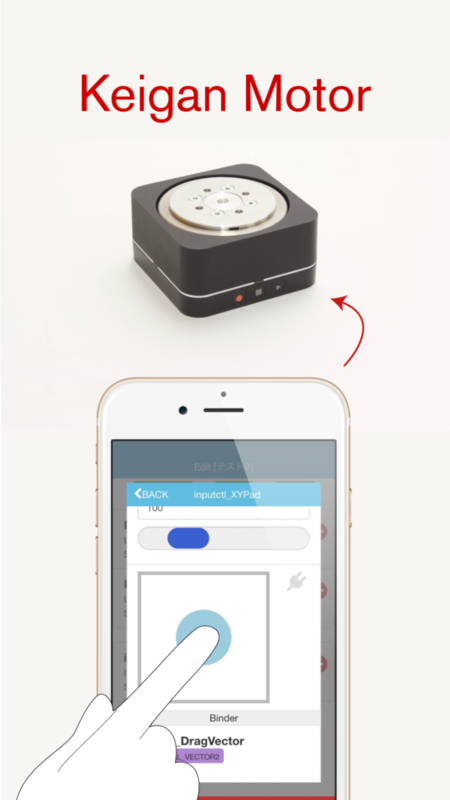 With KeiganCore app, you can not only control multiple KeiganMotors from your smartphone or tablet but also assign robotic function to them and control them in real time. Just drag and drop the icons such as "Motor", "Robot" and "Input" intuitively, then you can control them cooperatively. You can save and share the robot you have made. When you launch the app, the five tabs are appeared. 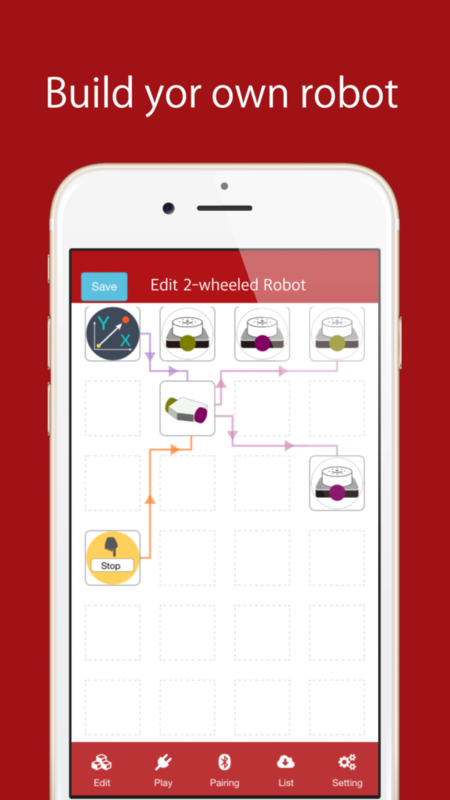 Make and edit a robot and save it. You can do simple control to tap Motor icons. Control the robot made in [Edit] tab in real time. Connect KeiganMotor using Bluetooth Low Energy and list them. Load and share the robot you made. You can download the templates of robot. Configure the settings such as Language or Advanced control.